Any person who is facing a criminal charge, no matter how minor, will benefit from consulting a competent criminal defense lawyer. Even if the lawyer is not retained to provide representation in court, the consultation will help a criminal defendant understand the nature of the charges filed, identify possible defenses, learn what plea bargains are likely to be offered, and find out what is likely to happen in the event of conviction. A criminal defense lawyer should be able to identify important pretrial issues, and bring appropriate motions that might significantly improve a defendant's situation or, in some cases, even result in the dismissal of charges. For serious charges, it is a rare defendant who will not benefit from having a competent criminal defense lawyer assist with the negotiation of a plea bargain, or prepare a case for trial. The cost of a criminal defense lawyer can vary significantly depending upon the jurisdiction, and also based upon the nature of the charges that have been filed, or that are expected to be filed, against the defendant. A lawyer will normally require a greater retainer for a complex case than for a simple case. The amount of a retainer will also normally increase with the severity of the charge filed against a defendant. Sometimes, though, even a relatively minor charge may require a higher retainer, for example if the attorney expects to have to engage in extensive motion practice, or if it will be necessary to utilize expert witnesses as part of the defense. In a misdemeanor cases, it is not unusual for a lawyer to request a retainer of several thousand dollars. For felony cases, retainers often start at $5,000 - $10,000, and can be $25,000 or more for serious or life felonies, such as sexual assault cases or homicide. The anticipated cost of expert witnesses may also significantly increase a retainer. Be wary of entering into a retainer agreement that calls for additional payments if the case goes to trial. It is not unusual for appellate lawyers to hear clients recite that they entered into guilty pleas after they were unable to come up with the necessary funds to pay their lawyers to proceed with a trial. If you do decide to enter into an agreement whereby you will pay an additional retainer if your case goes to trial, make sure that it is an amount you can afford. Recall that you have the right to take your case to trial. If the trial court allows your lawyer to stop representing you because you are unable to pay an additional retainer, you should request a court-appointed lawyer. Referrals - You may be able to find a criminal defense lawyer from another person or professional who is familiar with the lawyer's practice. For example, if you regularly work with a lawyer or law firm, that lawyer may be able to suggest a competent criminal defense lawyer in your area. If your county is served by a public defender's office, sometimes a defender's office will be willing to suggest a competent private defense lawyer. If you have a friend or family member who has been in trouble with the law, that person may be able to make some suggestions. 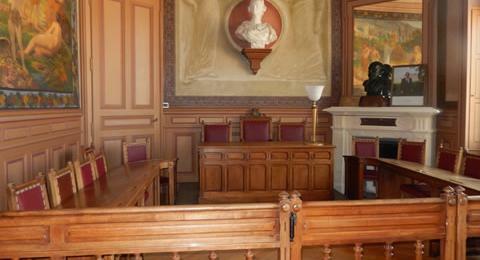 Courtroom Observation - You may opt to sit through some public sessions of court while criminal cases are being argued. If you find a particular lawyer's performance to be impressive, you may take note of the lawyer's name and later contact the lawyer about the possibility of representing you. Directories - There are a number of online directories that include criminal defense lawyers, including Lawyers.com and FindLaw. Keep in mind that lawyers pay to be listed in those directories, and that inclusion does not guarantee quality. If you are facing criminal charges, you should look for a lawyer who is experienced at dealing with federal investigators, U.S. Attorneys Offices, and federal criminal courts. If you are charged with a federal crime, please read our article on working with a federal criminal defense lawyer. After you have located one or more attorneys whom you wish to consult about your case, call them to schedule appointments. Be sure to find out in advance if the lawyer offers a free initial consultation, or if you will be charged for the meeting. Try to speak with the criminal defense lawyer over the phone before scheduling the appointment. Ask about the lawyer's general experience with criminal defense, and any specific experience with cases like yours. If you aren't comfortable with an attorney you consult, try a different law office. You do not have any obligation to hire a lawyer merely because you consulted with that lawyer. If your lawyer is promising you that your case is easy, or makes promises that you won't go to jail, speak to other lawyers before signing a retainer agreement -- some lawyers misrepresent the gravity of a defendant's situation or the complexity of a case in order to entice the defendant to pay a retainer, and then blame the judge or prosecutor when the rosy scenario they initially promised turns out to be a nightmare. Read the entire fee agreement with the lawyer before you sign it, and make sure you get a copy of the agreement for your own records. Make sure you understand how you will be billed, and whether you will be entitled to a refund of a portion of the fee or retainer that you pay if the charge is dismissed. People who are charged with felony offenses, and many individuals who are charged with misdemeanors, are eligible for a court-appointed lawyer or for representation through a public defender's office. When a defendant petitions for a court-appointed lawyer, the trial judge will assess of the defendant's resources to determine if the defendant qualifies for an appointment of a criminal defense lawyer or if the defendant can reasonably afford to hire a private lawyer. When an appointment is made, although the defendant may be ordered to repay certain attorney fees following a guilty plea or conviction, there will not ordinarily be any fee in the event of acquittal or dismissal of the charges. Some people assume that a court-appointed criminal defense lawyer will offer services that are inferior to those of a privately retained lawyer. While it is certainly true that some public defenders, some court-appointed lawyers, and some private attorneys will prove to be insufficiently skilled or dedicated to their work to provide an effective defense, it is widely accepted within the legal community that the average public defender will provide better representation than the average private criminal defense lawyer. The primary reasons for this include experience, as a professional public defender will typically have much more experience with criminal cases than a private lawyer, the ability to collaborate with other experienced lawyers within the office, and also due to the resources and systems available to a typical public defender's office. Many private criminal defense lawyers accept court appointments, meaning that if you are charged in a jurisdiction that appoints private lawyers to represent criminal defendants, many of the lawyers you might otherwise retain will be among those to whom a court might assign your case. Even if you are ordered to repay legal fees at the conclusion of your case, the cost of a court-appointed lawyer is almost always significantly lower than the cost of a retained lawyer. You also won't have to worry about demands from the lawyer for additional money as your case approaches trial, as a court-appointed lawyer is paid by the government. In short, if you can hire an effective criminal defense lawyer you should not hesitate to do so. But if your means are limited you should not hesitate to request that the court appoint a lawyer or public defender's office to represent you, and should not fear that you will receive inferior representation just because your lawyer was appointed. Your constitutional right to effective assistance of counsel relates almost exclusively to the performance of appointed counsel. It is virtually impossible to convince an appellate court that the incompetence of a lawyer of your own choosing constitutes an error requiring reversal. If you are not comfortable with the competence of your lawyer, retained or appointed, consult with a second lawyer to have your situation reviewed. It may well turn out that your lawyer is competent - but it is you who could go to prison, not your lawyer, if the lawyer is inept. This article was last reviewed or amended on Jul 22, 2016.